PJ's Purple Palace: See what I made? I love the colors in this cloth and coasters. 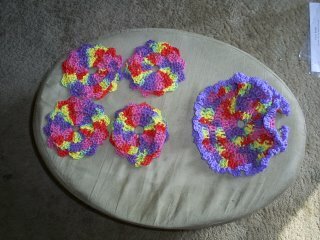 I made these for exchanges, one coaster exchange and a dishcloth exchange. I had to go buy more of this color called Fiesta Ombre by Peaches n Cream. I hope the people that received them liked them.